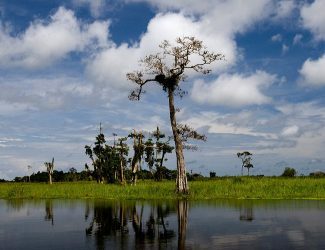 Gabon ranks amongst the highest wildlife density holding countries in the world. 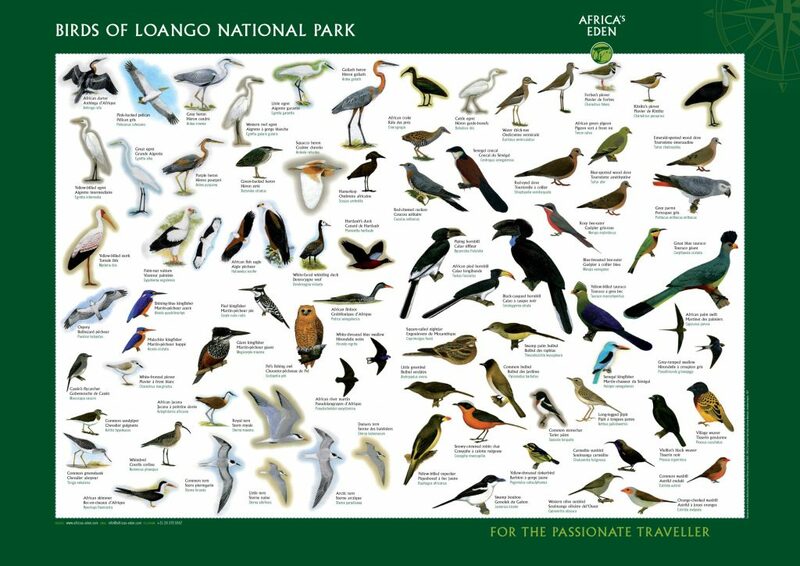 During your safaris in Loango national park you have a chance to see amongst others: the smaller forest elephant, red forest buffalo, red river hogs with furry ears, the slender snouted crocodiles, sitatunga, duikers, a variety of monkeys, a huge array of birds, whales (in season), hippos, western lowland gorillas and chimpanzees. 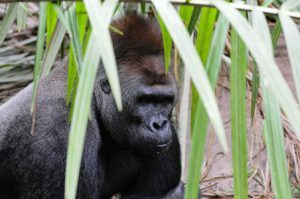 Please note though that due to the fact that Gabon is for the most part still covered by rainforest and most animals are forest animals, it might be more difficult to spot these animals, especially “surfing” hippos, western lowland gorillas and chimpanzees. For the latter two a habituation programme is in progress by the Max Planck Institute. All year round Western lowland gorillas in the Fernan-Vaz Gorilla Sanctuary. Gorillas & chimpanzees in the wild only by chance (habituation process in progress). All year round Hippos. Although chances are slim to see “hippos surfing the waves” at Petit Loango, they are often seen in the lagoons and rivers in the park. From mid-July to mid-September, humpback whales (Megaptera novaeangliae) visit the waters around Loango Lodge as they migrate from their low-latitude summer feeding grounds to more tropical mating and calving areas. From Loango Lodge, you will go out on the Sea Leapard. 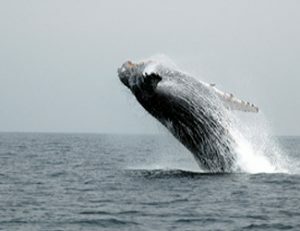 The trips take between 2 to 3 hours, depending on how far out the whales are. We only recommend this trip during peak whale season and although sighting rates are close to 100%, still, sightings cannot be guaranteed. Dolphins, turtles, sea birds and schools of different fish can also be seen. 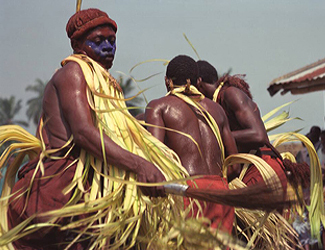 Gabon hosts many endemic fauna and bird species. Breezing along a beach in Gabon, a forest elephant browses in an idyllic preserve where buffalo, gorillas, hippopotamuses, and leopards all leave tracks in the sand. 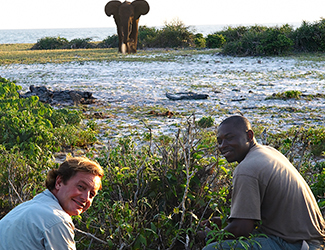 In the rainy season, from approximately September to May, you can view forest elephants and forest buffalos roaming on the beaches of Loango National Park, a sighting not found easily in today’s world. 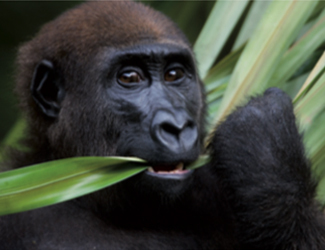 The largest populations of western lowland gorilla are found in Gabon and the Republic of Congo. Chimpanzees (Pan troglodytes) are the closest extant relative of humans, sharing 98.7% of our DNA. They are found in tropical Africa from Senegal to Tanzania with 4 recognized subspecies. 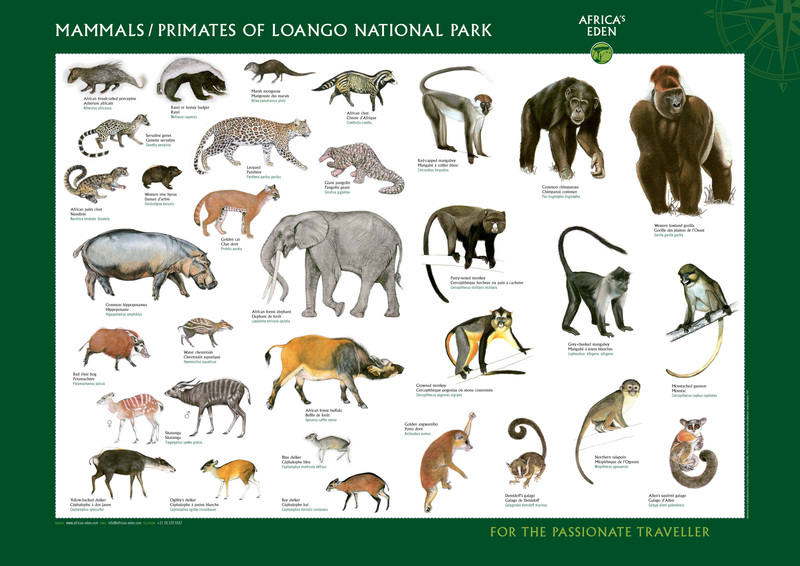 The population density of chimpanzees and gorillas was studied in the Petit Loango area (a part of Loango National Park) in 1997, and the researchers concluded that the estimated density (0.78 individual per km2) is higher than the average density in Gabon and comparable to the nest density in the Lopé Reserve, Gabon. 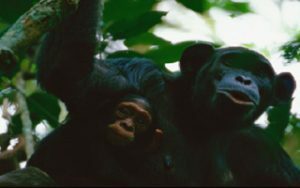 They discovered that the nests of chimpanzees were mainly in primary forest.